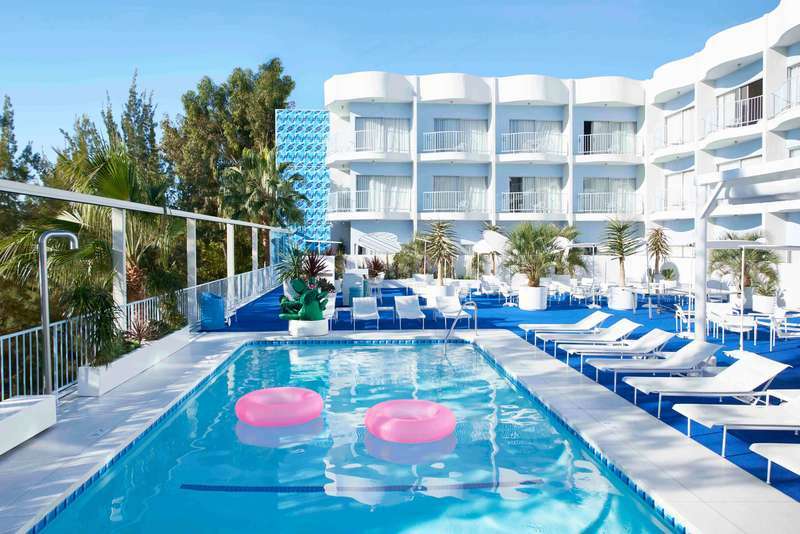 The Standard Hollywood is the hotel of your dreams. Sixties modernist, blinding white, with Astro-Turf surrounding the obligatory swimming pool. And the neighborhood — not some desert highway but the Sunset Strip, site of many a debauch, from Tallulah Bankhead’s Twenties exhibitionism to the heavy-metal excesses of the Eighties and beyond. And it’s not all kitsch — the Standard is modern and comfortable enough where it really counts, with orthopedic mattresses on the beds and nods to modern cooking even in the intentionally retro coffee-shop restaurant.